ChildcareAlive! focuses on creating and supporting the healthiest environments in which to raise children. ChildcareAlive! had been using a fairly old site layout for many years, and they were interested in an upgrade to a more modern layout as well as obtaining assistance with content consolidation to present a more clear and concise method for helping users easily find the information they were seeking. 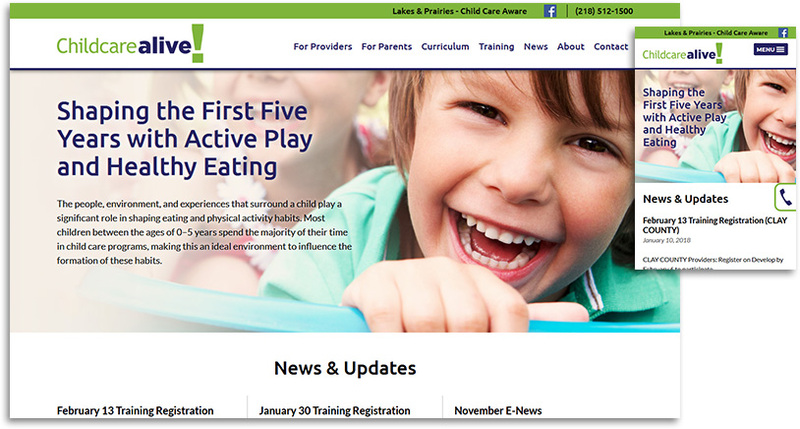 Ecliptic worked with closely with ChildcareAlive! to determine which information was most important to their clients and how best to deliver that information in the most efficient way possible. Their new site is easily accessible and much more user-friendly, and we are quite pleased with how the final site turned out.